﻿ People often forget the derision that A Day To Remember faced when they first came out. It wasn’t completely unjustified – back then, a pop-punk / metalcore hybrid was unheard of in such a fashion, and the way they were pulling it off wasn’t exactly elegant – but then Homesick was released in 2009, all those detractors made one hell of a U-turn and unsurprisingly, breakdowns became the new norm for all the new, cool pop-punk kids to wrench into their sound whenever possible. But while easycore is essentially in its grave right now, clearly For The Win never got the memo, riding that bandwagon as if it’s going out of fashion (which it really is). That could at least be forgiven if what they were doing had a directly identifiable personality or bending the style to meet their own needs in the vein of Four Year Strong. But no, Heavy Thoughts sees For The Win doubling down on their most generic, derivative impulses for an album that doesn’t even try to find some identity of its own, and is more than content with piggybacking on a style that’s virtually extinct. What’s worse is that it’s made so obvious, basically a cross section of every overused pop-punk and easycore trope in the book that wears its lack of imagination as if that’s something to be proud of. At the very least, For The Win have a few decent hooks and melodies under their belts. As far as the brawnier side of pop-punk goes, tracks like All Or Nothing and How Can I (Get Back To You) deliver a meatier bounce well enough, and even if heavier tracks like Dancing Shoes don’t necessarily gel well with Kyle Christensen’s more nasal, fairly classic vocal style, it at least keeps the album running at a decent speed. It’s not offensive in what does; for the limited ideas that For The Win display, they can execute them to a fair standard, and there is entertainment value to be found within this album. Even with as scant and non-committal as that praise is, it’s pretty much where it ends for Heavy Thoughts. That’s because For The Win become so bogged down with strip-mining the genre rather than forging their own path that the final listen is such a tedious process. There’s not a single note or idea that hasn’t already had any trace of inspiration bludgeoned out of it – the pop-punk sections have pace but lack distinct flavour, the heavier moments follow the usual predictable structures to the letter, and combinations of the two on a track like G Series sound clumsier and more inexperienced than they realistically should. And to top it all off, closer Until The End Of Time is an acoustic ballad trying to be as wet and over-earnest as possible, because more of those is what this genre needed, right? Digging deeper into the writing of this album is even worse, not only pulling clichés from every generic pop-punk track going, but essentially reciting them verbatim. It’s not a good sign when the very first line of the very first track Us Against Them is something as utterly trite and played-out as “This is a song for the beaten and broken”, but that’s pretty much the norm in terms of lyrical imagination. Most of the time it reaches a point of non-description that they’re not even paying attention to, with the only standouts being some real clangers like “You play with fire, you’re gonna get burned” on Dancing Shoes, which is such an awful, overused cliché at this point that For The Win really should know better about including it. That could sum up Heavy Thoughts as a whole nicely, the sort of basic, starting template of an album that only has the slightest chance at working when coupled with some individuality. For The Win don’t even bother trying that, and the end result is an album that isn’t totally egregious, but is just boring beyond comprehension. There’s nothing new or clever here, just bags of tropes rammed together in the hope that something will stick. The fact that some of it does may be purely down to coincidence. 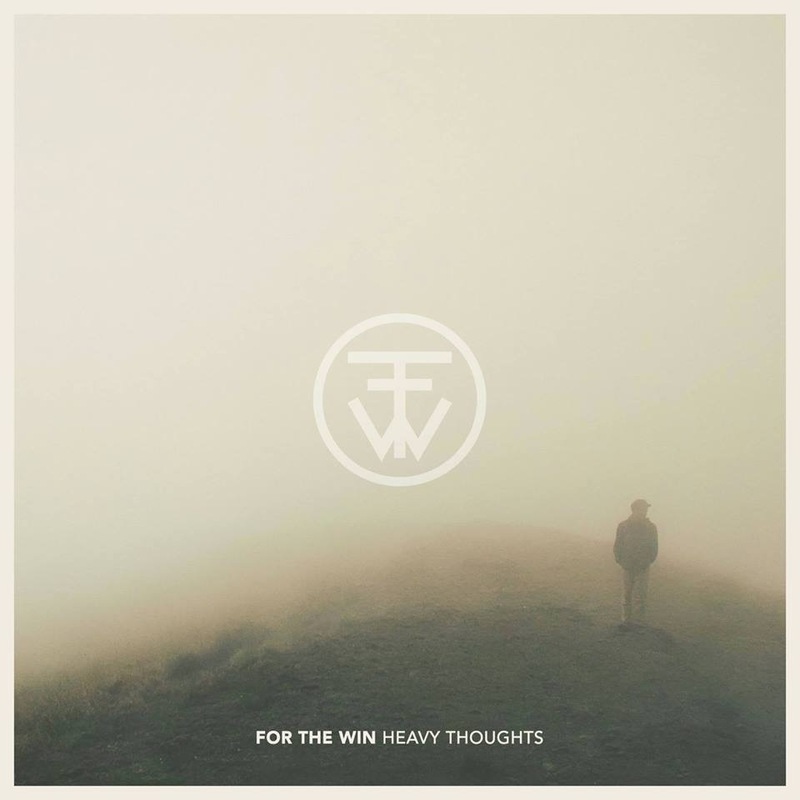 ‘Heavy Thoughts’ by For The Win is out now on Victory Records.